How Much Money Do Welders Get Paid? Bricklayers, also called brick masons or block masons, create structures and walls using brick and concrete block. Training is available informally, through observing more experienced workers, on the job while starting out as helpers, or through some vocational or technical school courses. Apprenticeships are also available from local unions, usually consisting of three to four years of hands-on work plus classroom time. Bricklayers must have physical strength and stamina because they often have to lift heavy building materials. They must be able to stand, kneel or bend for long periods. They are often paid by the hour, so they can work outdoors and earn more when the weather is good, and earn less during inclement weather. The median wage is $22.47 per hour, with a range of $13.45 to $36.98. Those who are paid a salary make $46,740 annually, with a range of $27,970 to $76,910. This is according to the Bureau of Labor Statistics (BLS) as of May 2009. The biggest employers of bricklayers are foundation, structure and building-exterior contractors, where workers use the brick as part of the support of a structure. This sector boasts 78 percent of the total jobs and pay that is near the median at $23.15 per hour or $48,160 annually. The best-paying jobs are with building finishing contractors, where brick is used primarily as decoration. These employers pay $31.75 an hour or $66,040 annually, but only offer three percent of all positions. The state with the most employment opportunities for bricklayers is Rhode Island, with 1.07 masons per thousand workers. They pay $24.31 an hour or $50,650 annually. The state with the best-paying positions is Massachusetts at $37.78 per hour or $78,580 annually. However, Massachusetts only has one-third of the jobs of Rhode Island, with a concentration of 0.36 per thousand. For cities, the best employment is in Palm Coast, Florida, with a job concentration of 3.4 per thousand. The large supply of workers depresses salaries to $16.42 an hour or $34,140 annually. The best-paying city jobs are in St. Joseph, Missouri, with pay at $41.01 an hour or $85,300 annually. How Much Money Does a Dock Builder Make? What Is the Pay Scale for an Appliance Technician? 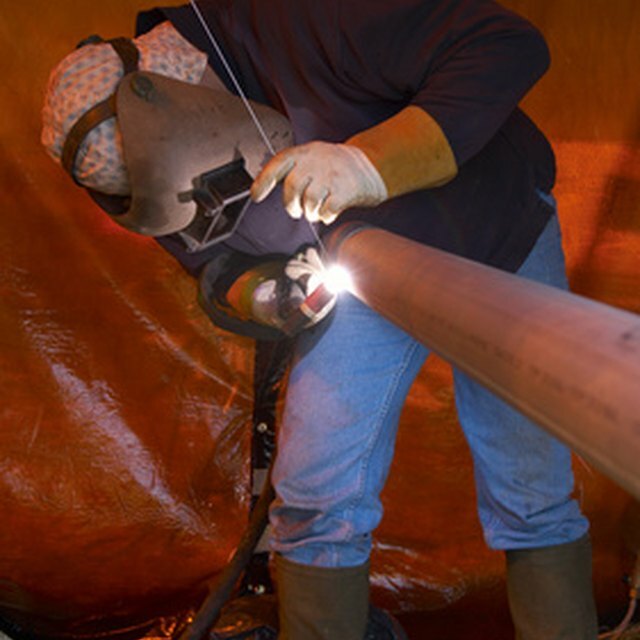 How Much Do Underwater Welders Make a Year? The BLS sees jobs for bricklayers increasing by 12 percent up to the year 2018. The demand will come from a growing population who will need homes, shops, businesses and recreation centers, which in turn will need bricklayers to aid in construction. The profession is heavily dependent on the economy. When times are strong, construction picks up and so do job opportunities. During lean times, jobs are scarce and workers may be forced to move to locate work.